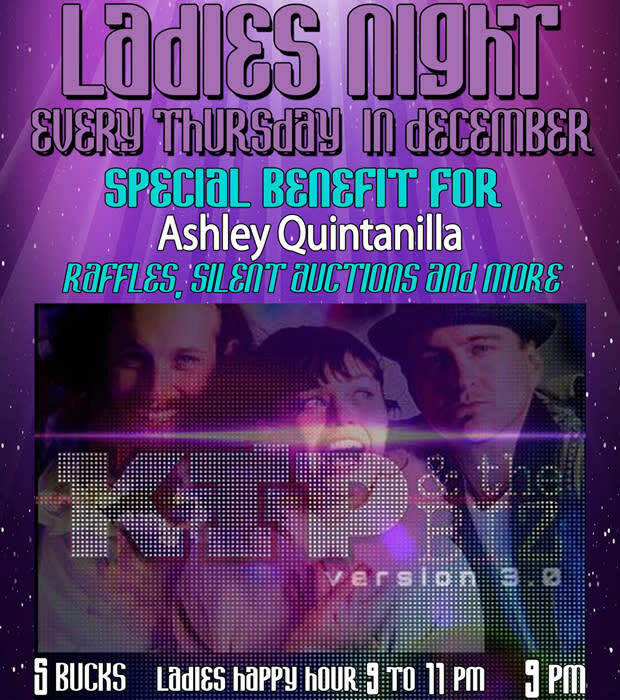 come together for the “Ladies Night to Benefit” Ashley Quintanilla. Ashley is a Taos native who is 13 years old and battling Embyonal Rhabdomysarcoma cancer. She has tragically lost both of her parents within the past 6 months. There will be raffles, silent auctions, and other fun beneficial ways to help this wonderful cause. 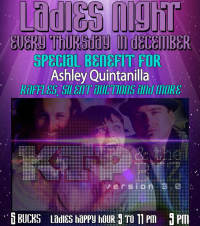 All of the donation money raised and a portions of the night’s proceeds, will go to Ashley’s care and future. $5 cover with additional Happy Hour for Ladies 9pm to 11pm.